AMD has released new additions to its Opteron 6300 Series of server processors, which offer 12 or 14 cores and optimised performance for the AMD Open 3.0 Open Compute Platform. 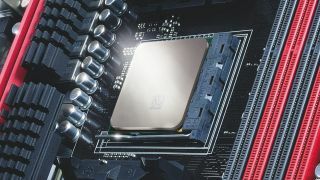 The new processors, codenamed Warsaw, are designed for enterprise use, employing AMD's Piledriver core, enhanced power efficiency, and improved cost effectiveness. They are also fully compatible with existing Opteron 6300 Series processors. The first new model is the Opteron 6370P, which comes with 16 cores capable of between 2.0GHz and 2.5GHz speeds. The second addition is the Opteron 6338P, a 12-core model capable of between 2.3GHz and 2.8GHz speeds. Both versions have a TDP of 99W and quad channel U/RDDR3, ULV and LRDIMM memory support. "With the continued move to virtualized environments for more efficient server utilization, more and more workloads are limited by memory capacity and I/O bandwidth," said Suresh Gopalakrishnan, corporate VP and GM of the Server Business Unit at AMD. "The Opteron 6338P and 6370P processors are server CPUs optimized to deliver improved performance per-watt for virtualized private cloud deployments with less power and at lower cost points." AMD said the new processors are ideal for data analysis, xSQL and traditional databases. They are available immediately through Penguin and Avnet system integrators. Starting prices are $377 (£227, AU$429) for the 12-core model and $598 (£360, AU$680) for the 16-core version. Will Google enter the server chip market?